Physicians are not alone in their concern with stress. Other professionals, such as psychologists and social workers, invoke stress to explain social pathology, for example, alcoholism, suicide, and drug abuse. They are joined by additional individuals in implicating stress in the development of disease. Indeed, conventional wisdom has long noted that to worry, be tense, or take things hard, is to increase one's vulnerability to disease. Sol Levine and Norman A. Scotch argue that whether the focus upon stress is in its origins and its management, or upon its relationship to individual pathology and behavior, it is necessary to appreciate its complexity and its various dimensions. In particular, they discuss and answer the following common questions: To what extent do various work and organizational settings engender stress for various occupants? 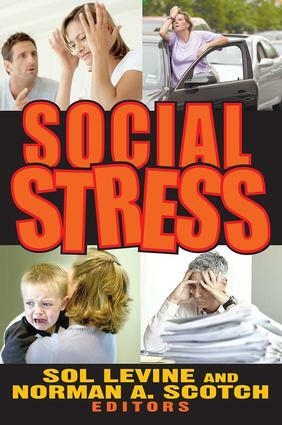 To what degree does upward and downward social mobility create stress? What are the effects of family disruptions—death, divorce, or desertion—upon the psychological state of the individual? This book presents a clear and comprehensive picture of the phenomena encompassed within the conceptual rubric of stress and to explicate such specific levels or dimensions as the sources of stress, its management, and its consequences. The contributors are top researchers from the fields of sociology, anthropology, psychology, and medicine. They include Sydney H. Croog, Edward Gross, Barbara Snell Dohrenwend, Bruce P. Dohrenwend, Richard S. Lazarus, Andrew Crider, John Cassell, E. Gartly Jaco, James E. Teele, Robert Scott, and Alan Howard. The work concludes with a statement by the editors summarizing the data and themes that are presented throughout the work. This work should be read by all individuals. In particular, it will be invaluable for sociologists, psychologists, and professional social scientists. ByLevine Sol, Scotch Norman A.